So recently we gave you Top 6 Exercises for the Kitchen! Today we have made for you 6 quick exercises you can do in the playground! ‘How to exercise in the park’ – not for you? 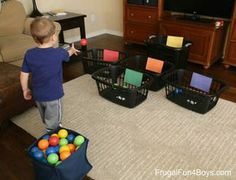 Well what if we told you these short exercises will go unnoticed, super easy and will look just like you are playing with the kids! Don’t worry, no extreme lunges or deep squats over the climbing frames required! We made these 6 quick ones for our busy mums and we do them as often as we can! Our little ones all like being pushed on swings…. “higher, HIGHER!” – we all know that one! Well, use it as an opportunity to practice on your arms! So, when you push the swing forward place your hands at the edges of the seat, palms face up and elbows close to each other. Make sure you stand straight against the middle of the seat. This exercise is so effective for your arms and it doesn’t feel like strenuous exercise! Wahoo! Make your little one(s) giggle and fly whilst you work out! 2. It’s all about the Bench! Who knew that benches had the potential for so many easy exercises! If your child starts playing on or around a bench and you need to keep a watchful eye, stand behind it and get some quick exercises done yourself! This improves your calves and gives your legs a great well-trained look. Hold the back support of the bench, straighten your body, feet together. Slowly lift up, onto your tiptoes keeping strength in your legs, then slowly draw your heels to the ground without touching them to the floor completely. Lift back onto your toes and slowly lift your heels up and down 15 times.- don’t put too much weight on your the ball of your foot if this is your first time doing this exercise – do it gradually. If your kids are still playing and your still keeping an eye, then why not to combine this with the next exercise? This will train your inner thighs. Hold the back support of the bench with your hands, feet together, legs straightened. Lift your right leg to the side at 45 degrees, heel toward the floor, toes to the sky. And slowly bring it back. Make 15 lifts with your right leg then change to practice your left leg. SO simple, hardly any movement required and your Inner thighs get a work out? WOW! 3. Castle or climbing frame ‘Push-ups’ with a twist! To work on your chest muscles to improve your bust you will need a wide surface to press against – making the side of a climbing frame, or the wall of the ‘playground castle‘ exactly what you need! So, place your hands in straight in front of you, slightly wider than shoulder-width apart with fingers facing upwards. Step back so that you’re leaning towards the apparatus. Lift off of your toes and slowly lean towards the wall bending your arms. Then slowly push back to straighten your arms and bring yourself back to the start position. Repeat this push movement with wide-spread arms 15 times. Stay on your toes throughout exercising. This exercise helps you to get your waist back and can be adjusted to feel comfortable enough to be viewed in public! Side bends are very effective if you extend your torso to the side instead of bending/folding. This video will explain to you how to do it with maximum effect. Although, as we are in public, place your hands onto your opposite shoulders, feet shoulder-width apart, and stretch your torso to the right extending the upper and lower side of your torso. Then bring yourself back. Repeat this movement 15 times then change the side and extend your torso to your left. If you are advanced in exercising and have good control of your abdominal and buttock muscles, try this exercise with bigger muscle movement like holding out your arms towards the ceiling and keeping them there whilst you bend. Watch our quick side bend exercise to improve your waistline! Also, subscribe to our YouTube Channel here to see our FitMama and PlayMama Videos, and other out favourite Motherhood funny videos to keep your exercises topped up and your 5 minutes of laughter a day! Tired? Let’s take a bench again. Tone up your abs! Sit straight, feet together, shins vertical to the ground. Place your hands to the sides of your thighs holding up the edge of the bench. Now, breathe out and draw your lower back backward by engaging your abdominal muscles and lift your feet from the ground just little bit to help you feel that it’s your abs that are working. Repeat this movement 15 times! Come on, now isn’t that the easiest abdominal exercise EVER?! Using same starting position as before, with your bottom deep into the chair or bench, shins perpendicular to the ground, feet shoulder width apart, hold the edge of the bench by your hands to the sides of your thighs. Press your heels to the floor and lift your bottom up from the bench just a bit. Feel that this is your buttocks muscles that are working. Now release and bring your bottom back to the bench seat. So, your time on the playground will fly so fast with this quick exercises! Your kids and you are all toned up and refreshed now! Mothers, tell us below what area of your body you are or wanted to work on the most after having a baby…. 6 Easy Homemade Father’s Day GiftsHomemade Kids Crafts for Holidays!